Great Falls, MT-Both Chicago White Sox full-season affiliates in Winston-Salem and Kannapolis are in the thick of first-half pennant races in the Carolina League and South Atlantic League respectively. Those teams have several recent Voyagers to thank for their fast starts in the first month of minor league baseball. As of this writing (May 8th), Winston-Salem (Advanced Class A) sits tied for first place in the Carolina League's Southern Division at 18-13. The Dash has won seven of its last 10 and currently enjoys a three-game winning streak. Winston-Salem sports a 10-4 record at home so far. Kannapolis (Low A), meanwhile, is in second place in the Northern Division of the South Atlantic League with a 20-11 mark. The Intimidators are just one game back of first-place Delmarva, and are 7-3 in their last 10 as well. Kannapolis owns a 15-3 home record. As expected, a sizable chunk of the production for the Intimidators has come from White Sox prospects who suited up for Great Falls playoff teams in either 2016 or 2017. 2017 Pioneer League MVP Anthony Villa currently leads Kannapolis in batting average at .367. Villa has appeared in 18 games and driven in 12 with nine doubles. The Danville, CA native has a .433 on-base percentage. Tyler Frost is leading the team in home runs with five. 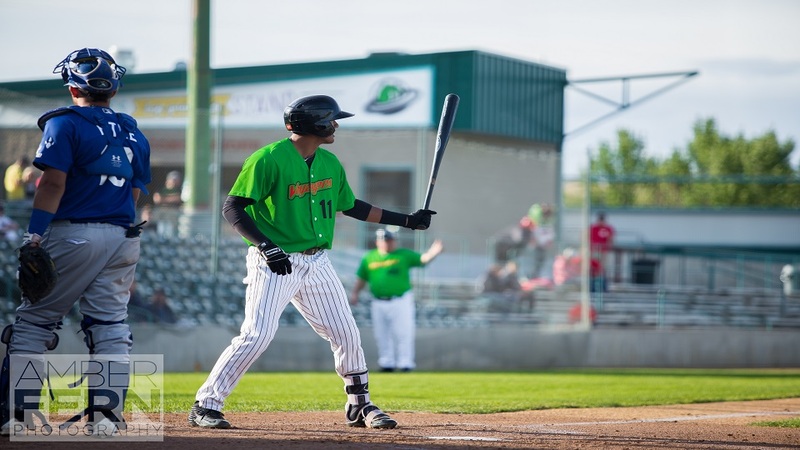 Frost suffered a season-ending injury with the Voyagers in '17 and did not play in the second half of his first professional campaign out of Gonzaga. "I couldn't wait to be back in ball pants and on the diamond in a game atmosphere," said Frost. During the off-season, the 22-year-old outfielder "focused on hitting mechanics, throwing, and mostly the mental side of the game." Frost, a Phoenix, AZ native, has honed in on "getting up to the plate and trying to hit the ball hard so it's difficult to field. For a smaller guy, I just work hard in the weight room. Anyone can do anything as long as they put their mind to it." Pioneer League All-Star Craig Dedelow leads Kannapolis in RBIs with 21. Dedelow was a fire starter in Great Falls last year after being drafted in the 9th round from Indiana University. Tate Blackman has produced in a major way as well, hitting .312 with four homers and 19 RBIs in 30 games played. Blackman was a 13th round draft pick out of Ole Miss a year ago. "The one thing I really focused on this past off-season was understanding my body and how the swing actually works," said Blackman. "Over the years, I never understood the right sequence to a swing so I focused on what allows me to hit more consistently." "The pitching always improves as you go up each level and so does the umpiring," Blackman opined. "That kind of helps with your plan at the plate and the strike zone being a little smaller. It doesn't allow you to expand the zone as much." On the pitching side, Kade McClure leads the Kannapolis staff in strikeouts with 42 in 41 innings pitched. McClure saw brief time coming out of the bullpen with the Voyagers in the second-half of last season. He has made seven starts for the Intimidators and is 3-1 with a 2.63 ERA. McClure was selected in the 6th round out of Louisville. Former Oklahoma State standout Blake Battenfield has the team's lowest ERA at 1.75. Battenfield was a reliever with Great Falls in his first pro season, but has been a key starter in Kannapolis with a record of 2-1 in 6 starts. The right-hander has racked up 24 strikeouts and walked just four in 25.2 innings pitched. "One thing college baseball did for me was prepare me for any role that I'm asked to fill. I did everything from start to close at Oklahoma State. I am comfortable with starting and really enjoy it," said Battenfield. "From a preparation standpoint, it's all about longer outings and getting into a routine. It doesn't matter if you throw one or nine, my job is to get three outs every time my name is called. I prefer to start. This is my first full season of starting, and I know I have a lot to learn about how to prepare to throw an entire season." And, Tyler Johnson has posted four saves. Johnson was moved up to Kannapolis in the middle of the Voyagers '17 season after being drafted in the 5th round out of South Carolina. The I's pitching staff also features 2016 Voyagers Aron McRee, Yosmer Solorzano, Jake Elliott, and Kevin Escorcia. McRee was named the Pioneer League Pitcher of the Year in '16. Solorzano was the starter in a combined no-hitter for Great Falls that season. Former 22nd round draft pick Joel Booker is turning heads in his second stint in Winston-Salem. Booker finished his college career at the University of Iowa before appearing in 32 games for the Voyagers on the back-end of the 2016 season. Booker leads the Dash in hitting at .333 with two home runs and eight RBIs. The North Carolina native has played in 24 games and has 29 hits with five doubles and two triples. Booker is tied for the team lead in runs scored with 21. He has a .420 on-base percentage with a .926 OPS (on-base plus slugging). "It's nice to be playing so close to home again this season, especially since my family can watch me play a lot more than they have since high school," surmised Booker. The Columbus, NC product played junior college ball in Iowa prior to suiting up for the Hawkeyes of the Big 10. He attended Polk County High School. Booker hit .328 with 15 stolen bases in '16 for Great Falls. His straight steal of home for a walk-off Dash win on April 12th came with two outs in the bottom of the 10th inning and was featured on ESPN. "The steal of home was nuts! It's just something you dream of as a kid or do in a video game," said Booker. "I was just thinking don't trip the whole time. I did it once in high school when I played on the JV team." There is a handful of other former Voyagers rolling up early-season successes with the Dash. Alex Call, Nate Nolan, and Mitch Roman are contributing in key positions for Winston-Salem. Call and Roman were members of the Voyagers 2016 squad. Nolan was a major reason for Great Falls deep playoff run in 2017 as the team's starting backstop. On the mound, Bernardo Flores and Matt Foster are vital cogs for the Dash. Lefty starter Flores made his professional debut for Great Falls in '16, while Foster finished that same season as one of the Voyagers closers. The 2018 Pioneer League season begins for the Great Falls Voyagers at home on June 15th against the Helena Brewers. Tickets are on sale now at www.gfvoyagers.com. 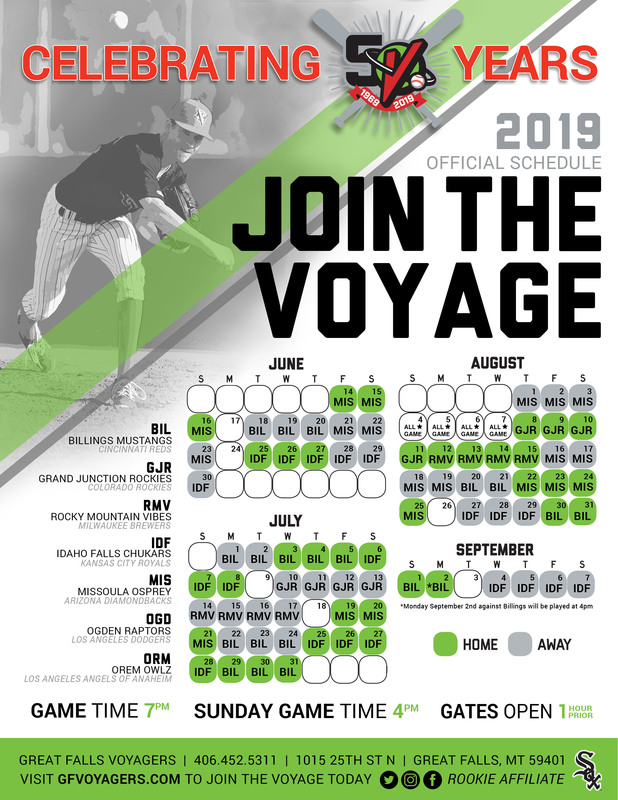 For more information about Voyagers Baseball, contact the front office at Centene Stadium by phone at 406-452-5311.